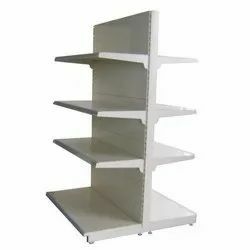 Pioneers in the industry, we offer shoes display rack, double sided display rack, iron rack, stationary display rack and library display rack from India. 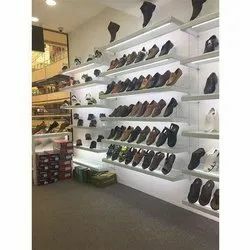 We are the manufacture of high standard Shoes Display Rack as per requirements of clients which are tailored with international standards and quality. Shoes racks can be specifically designed for Mens shoes and ladies shoes for the footwear outlet. Shoe stands pole are made of stainless steel for better look and longlife or you can opt shelves made of glass as per your choice and budget. Our Stationery Racks that is designed according to the available space inside your store. 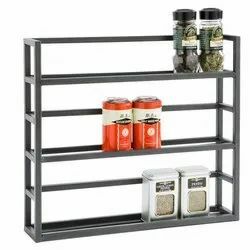 These Stationary Racks are ideal for smaller spaces and can comfortably accommodate large a number of items to view at a glance. These racks can be customized as per the clients requirements. Stylish design come with sturdy built and immaculate finish. 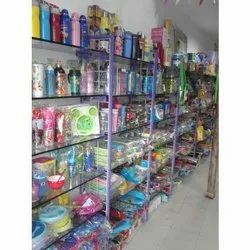 Stationery Display racks can be used mainly for commercial usage. Our Stationery racks are available at quite reasonable prices so that it becomes easy for the customers to avail them. 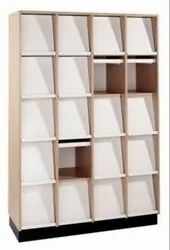 Stationery racks can be availed in all storage capacities that suit to your need. Our Library Display Racks that is designed according to the available space inside your store. These Stationary Racks are ideal for smaller spaces and can comfortably accommodate large a number of items to view at a glance. These racks can be customized as per the clients requirements. Stylish design come with sturdy built and immaculate finish. Stationery Display racks can be used mainly for commercial usage. Our Stationery racks are available at quite reasonable prices so that it becomes easy for the customers to avail them. Stationery racks can be availed in all storage capacities that suit to your need. Looking for Display Rack ?